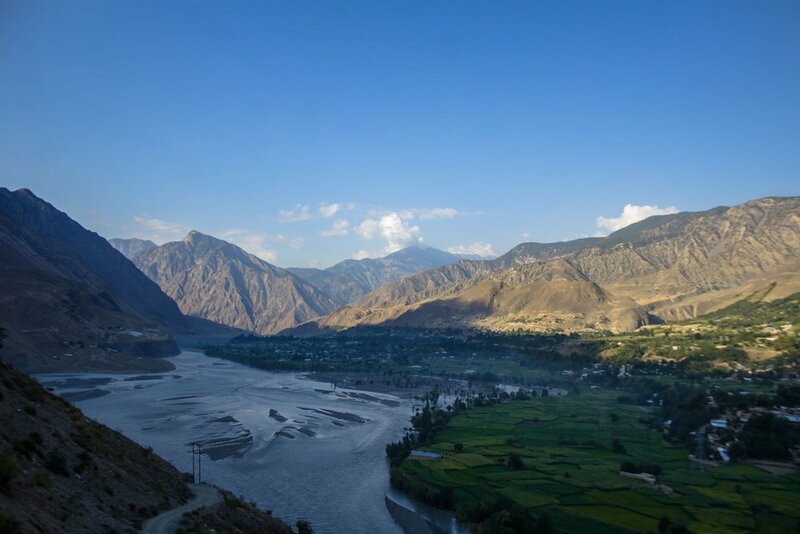 This is the first in a series of Posts on the different People and the Cultures that exist in the vast Himalayan Karakoram Hindu Kush (HKH) System. We will be looking more closely at the relatively smaller Groups of people who have existed in the Mountains and Valleys of this system. Cultures have developed and evolved in isolation from other Groups due to the lay of the land and the Mountains and Rivers which served as the main barriers. Over the passage of time each of these Cultures have developed their own languages, social structures, religious beliefs, traditions, arts and crafts. Today we start off with the Kalash. Please note that most pics Ill be using would be from the Internet and try and give credit. In case you by any chance see that your picture is being used and want it taken down please let me know and it will be taken down. The purpose of these articles is purely Educational/ Academic. Kindly feel free to share and use the same. From what I have read around their origins are still disputed among the scholars. Some say there indeed are evidences which prove a connection to Greece while others are quite convinced that there was no such connection and that is proved by the Genetic analysis of the Kalash people. We will steer clear of that Discussion and keep our minds open on that issue for now. 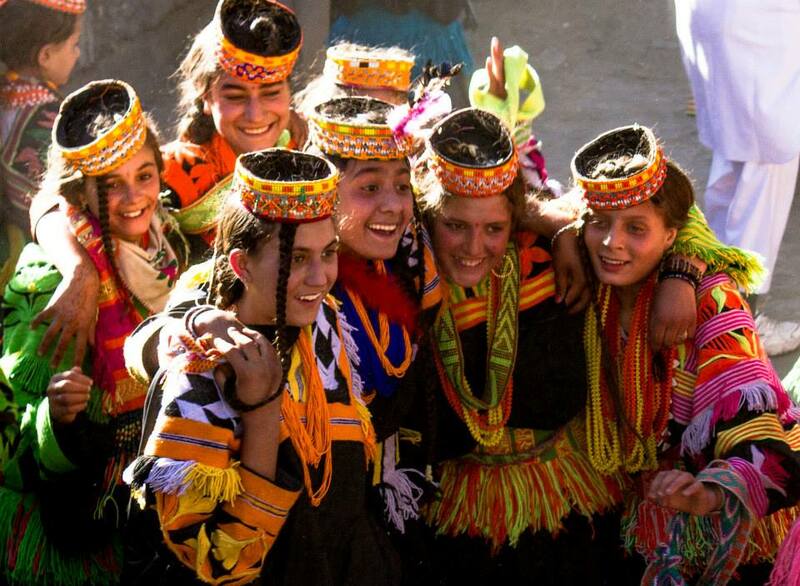 The closest relatives of the Kalash are the Nuristanis (earlier this region was called Kafiristan as a reference to their beliefs) who were at the turn of the previous Century converted by the Afghans and they have embraced Islam and have done away with most of their religious and cultural traditions and have become more Islamised in a sense. Many of the Kalash were also hence converted. 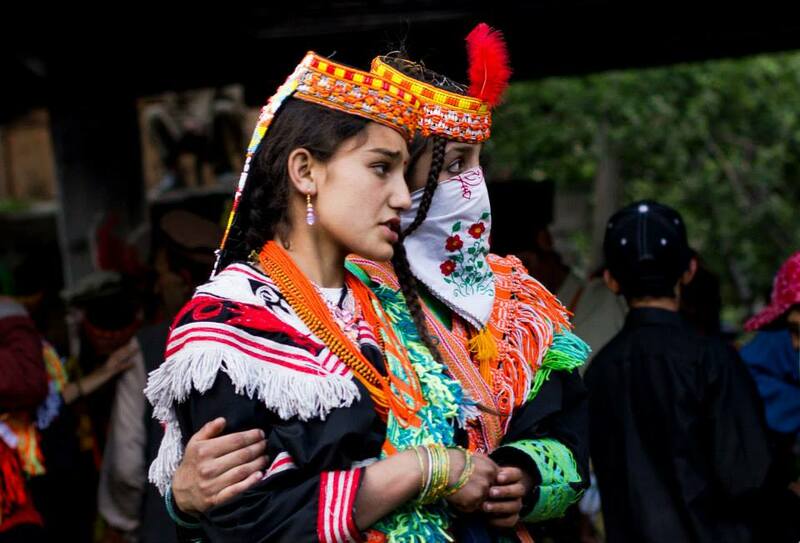 The remaining Kalash were able to stick to their way of life because of firstly the isolation of the Valleys where they exist as well as the fact that when the Durand Line was drawn they became a part of India as it was at that time. Hence the Afghans were unable to get to them to convert some of them. However over a period of time many were converted especially when the Taliban influence was strong and they were under a lot of pressure to give up their traditions especially their traditional beliefs. But thankfully that threat is now gone and things are better with Government intervention as I mentioned earlier. The Kalash religion has been described as Animism but many similarities are seen with the ancient Vedic religion or in other words an ancient form of Hinduism with Animist beliefs thrown into it aplenty. It is probably the form of religion as it existed at the time when the Rig Veda was composed. However due to their isolation most probably they remained cut off from the post Rig Vedic development of Hindu religion. The name of some of their deities are the same as the ones in the ancient Vedic religion. They have references to the “Devlok” and one of their deities is called Indra. 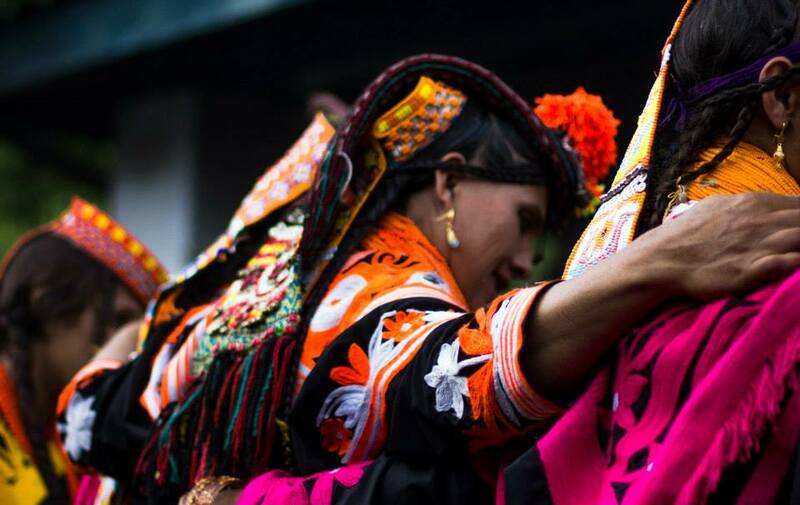 The Kalasha celebrate a number of festivals including the most well known one known as the “Chillum Joshi” which attracts a lot of outsiders to flock to the Village and see the Kalash, especially the women in all their finery. Traditionally the woman wear black robes but on the days of the Festival all are ordained in multi-color jewelry as well as very exquisite headgear.Two other important festivals of the Kalasha are the Uchau in autumn, and the Caumus in winter. As of today the number of Kalash who still practice their ancient beliefs are believed to be numbered at around 3000 individuals and have been holding steady. They are also a big draw for tourists who converge in large numbers to see these extra-ordinarily beautiful people in the equally beautiful mountain settings. Photos Credit : Syed Imran Schah.